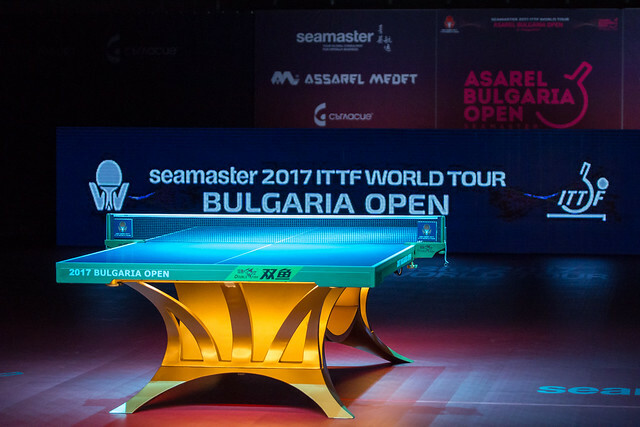 The Men's Singles qualifying group stage concluded on Wednesday 16th August, as 30 players moved one step closer to achieving qualification for the upcoming Seamaster 2017 ITTF World Tour Asarel Bulgaria Open. Moving through to the preliminary Round of 32 qualifying stage are the winners of Groups 3 to 30, while the players claiming top spot in Group 1 and Group 2 have booked their places in the main draw. France will have three representatives in the final round of qualifying following positive outings from Romain Lorentz, Enzo Angles and Can Akkuzu in their respective groups. Romain Lorentz made a solid start to his Group 19 campaign on day one of the qualification tournament achieving a straight games victory against Ukraine’s Oleksandr Tymofieiev. Now the Frenchman has booked his place at the top of the group on the second day of qualifying, defeating Scotland’s Gavin Rumgay by a four games to two scoreline (13-11, 11-9, 7-11, 8-11, 12-10, 11-8). Trailing by the conclusion of game three Enzo Angles mounted a decent recovery attempt to prevail against Krisztian Nagy of Hungary in his second Group 18 fixture (9-11, 11-4, 11-13, 11-5, 11-5, 11-9), while Can Akkuzu edged his way to a deciding game triumph over Romania’s Rares Sipos (9-11, 10-12, 11-4, 11-9, 11-7, 9-11, 11-6) to claim top spot in Group 13. Japanese competitors enjoyed a strong morning session on day two of the qualification tournament, with plenty of notable performances leading to stunning results. Hampus Nordberg entered Group 20 as the highest ranked player in the group, but his qualifying hopes were dashed as Japan’s Shunsuke Togami produced a fine effort (6-11, 9-11, 6-11, 11-3, 8-11) to leave the Swedish player disappointed. Belgium’s Robin Devos will also play no further part in the Men’s Singles qualifying action losing out to Yukira Uda across five ends (7-11, 4-11, 3-11, 11-5, 6-11), and Pavel Platonov of Belarus suffered a similar fate in his fixture against Koyo Kanamitsu (11-7, 10-12, 11-13, 12-10, 6-11, 5-11). Eight players representing India have exited the event at the first qualifying stage, but Sathiyan Gnanasekaran has kept his qualification hopes alive after his 4-0 victory over Belarus’ Petko Gabrovski (11-5, 11-9, 11-9, 11-4) resulted in a first position finish for the Indian competitor in Group 5. One of the standout performances of the morning session came courtesy of Ibrahim Gunduz, after the Turkish player booked his spot in the preliminary Round of 32 with a terrific result against Alexey Liventsov of Russia (11-7, 11-7, 8-11, 11-4, 11-8). “It was a very important match for me. I was really concentrated and I am happy to get the win. Now we are going to wait for next round’s draw and focus on our next opponent, devising a proper strategy”, Ibrahim Gunduz. Yuto Kizukuri and Asuka Machi have qualified for the main event, after the Japanese competitors finished top of Group 1 and Group 2 respectively.